No life on Mars? 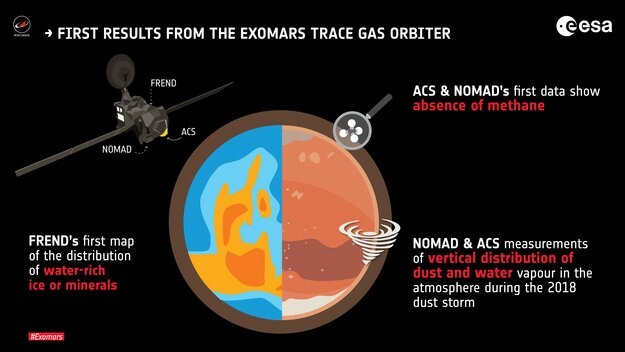 Why European spacecraft failed to sniff methane that NASA's Curiosity found in abundance? TGO spacecraft failed to capture methane gas emanating from Mars surface at 5-km height but Curiosity at 1-km found it in abundance, puzzling scientists to question where and how it disappeared in the middle. The latest Mars mission European–Russian Trace Gas Orbiter (TGO) has surprisingly found no methane gas in the atmosphere of red planet, sending shockwave among the scientists who had earlier concluded emphatically about the detection of methane at Mar's Gale crater by NASA's Curiosity Rover. The Trace Gas Orbiter (TGO), sent in 2016, started sending reports since April 2018 unfolding the mystery of methane on Mars, which means life organisms were present on the red planet. Instead of confirming the presence of methane on Mars, TGO has reported virtually no presence of methane in Mars atmosphere, compounding the confusion over the sudden disappearance of methane in between. It indicates either no methane on Mars surface or that some unknown process is scrubbing it off soon after it appears. "It's a huge surprise," says Dorothy Oehler, a planetary geologist at the Planetary Science Institute in Houston, Texas, in a study published in Nature. Amid host of conspiracy theories surrounding the surface of Mars, finding methane by Curiosity had raised hopes of scientists to detect living organisms on the red planet who were hoping to pinpoint the location and source of methane being produced on Mars surface by the TGO. Instead of determining whether the gas comes from chemical reactions in rocks or has a more exciting origin — potentially, Martian life, the new mission has failed entirely to find any methane in atmosphere. The methane angle on Mars was not new. 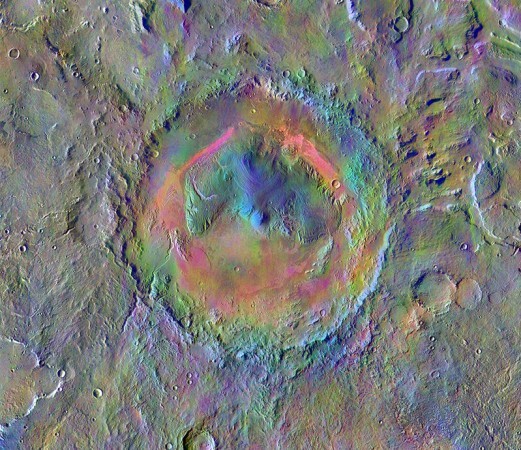 First, the telescopic views of a plume of methane in 2003 was reinforced with occasional detections by NASA's Curiosity rover at Gale crater since its landing in 2012. Even the European Space Agency's Mars Express spacecraft has spotted the gas at multiple sites — including a plume near Gale in 2013. The latest ESA-Russian mission TGO reached the Mars in 2016 and started collecting atmospheric data since April 2018. From April to August 2018, it found no signs of methane, while some instruments detected the gas at negligible concentrations of below 50 parts per trillion. 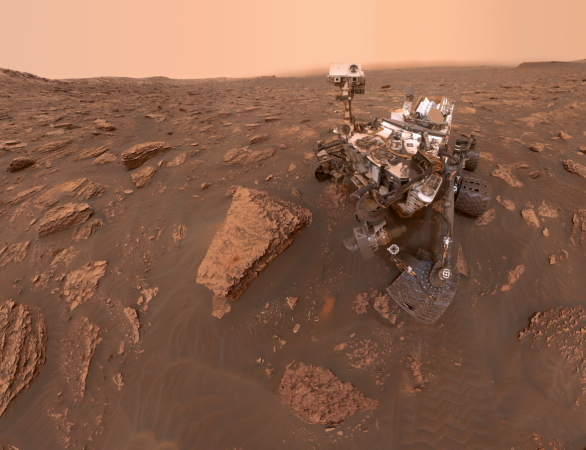 Curiosity, on the contrary, revealed 500 parts per trillion of methane in mid-June 2018 at 1 kilometer above the ground. The TGO spacecraft could not see any traces of methane while flying 5-km overhead, confirms Christopher Webster of the Jet Propulsion Laboratory in Pasadena, California, who is in-charge of the rover's methane-measuring instrument. Usually, any methane plumes should drift upward and mix well into the planet's atmosphere within a few months but why do they disappear so quickly? "There's some piece of the puzzle we are missing," says John Moores from York University in Toronto, Canada. The difference between the distance of Curiosity and TGO in sniffing methane is another angle that has kept researchers puzzled. Curiosity is able to sniff methane at one metre above Mars surface, while the TGO, which is above 5 kilometres is unable to do so. What could have destroyed the gas relatively close to Mars's surface? One theory is that methane seeping out of the ground is quickly removed by some kind of low-altitude chemical reaction or even dust before it can drift higher into the air, says Michael Mumma from NASA's Goddard Space Flight Center in Greenbelt, Maryland. Sushil Atreya, a planetary scientist at the University of Michigan in Ann Arbor, suggests that a series of methane-measuring drones, dirigibles or balloons floating over many areas of the Martian surface could determine the real issue. The contrarian view is equally puzzling. "I've never seen a convincing detection of indigenous methane on Mars, and I don't believe I ever will," says Kevin Zahnle from NASA's Ames Research Center in Moffett Field, California, who has long argued that Martian methane is a false finding due to observational errors. The pertinent question is whether NASA's Curiosity and the older findings are true or not. Is there life on Mars or not? Is it another conspiracy brewing for well over a decade? For now, the TGO will keep monitoring Mars's atmosphere till 2022. "One thing about Mars is it's never boring," says Oehler.